Remembering Charles Longstreet (1947-2013) on the day of his birth. The eternal soul of all. 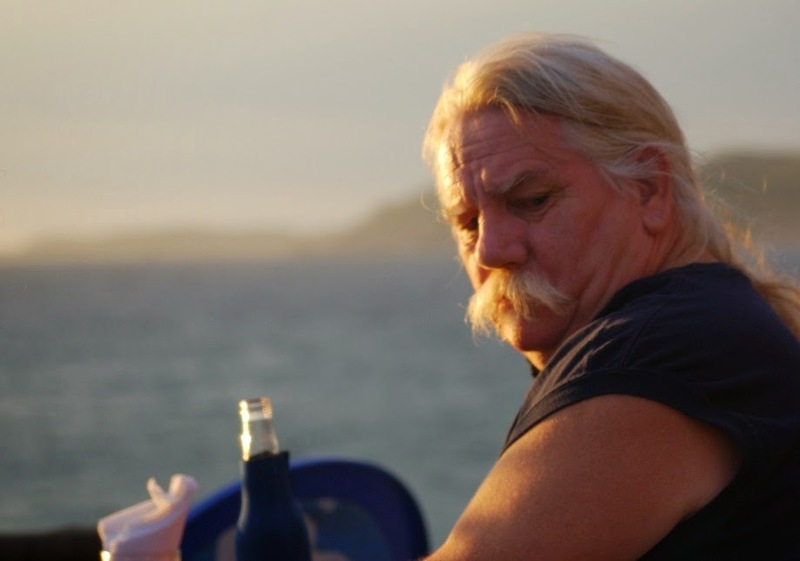 This prayer poem, written by Russell Rosander, and orated at sea by the author as the ashes of Bar None Group co-founder Charles Longstreet (1947-2013) were scattered off the coast of his beloved Barra de Navidad, Jalisco, Mexico on August 8, 2014. On Charles' birthday, we remember Russell's poem and reflect fondly on Charles' life and times. Toasts will be made, tales will be told and tears are certainly to flow throughout the day on November 10. An artist and poet living in the Costalegre of Mexico, Russell Rosander is not only a co-founder of the Bar None Group he was Chuck's best friend for more than 40 years. Russell, like Chuck before him, calls Barra de Navidad home and he hosts weekly readings and discussions on poetry, art, music and literature...but mostly poetry at Chynna's Backstage Bar. You can find more of Russell's writing at Russell Rosander Short Stories. You can find a selection of Charles poems on this site by entering Charles Longstreet in the search field at the top right of this page. You will also find poems written about Chuck by a few of his many friends, friends from Canada, Mexico and these United States. Beautiful poem, Russell. I would love to live in Barra de Navidad. I live in Puebla now, but I want to relocate soon. I love Mexico.